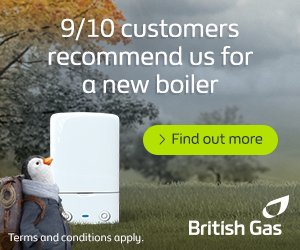 British Gas, one of the leading energy suppliers in the UK, has implemented a plan to help customers by launching a billing system “for dummies”. Although some energy users are likely to be offended by the somewhat disparaging description of the new system, many will welcome more simplified bills. In recent years, energy suppliers in the UK have been criticised by industry regulator Ofgem for confusing customers, many of whom find the job of identifying the cheapest tariffs a near-impossible task. Consumers have also complained that understanding bills and meter readings is far from straightforward, so a billing system designed for dummies perhaps ought to be welcomed with open arms (or pockets, as the case may be). Explaining the simplified system, Ian Peters, managing director at British Gas told The Telegraph: “At a time when household budgets are under immense pressure, we want to make energy bills more useful”. He added that the energy giant wants to move away from a system that merely explains payment methods and amounts to one that identifies ways in which consumers can save money. Mr Peters continued: “We want to make it simpler for customers to find ways to take control of their energy use and help keep bills down. Over the past six months we’ve made several changes to the way our customers buy energy, to make it more simple, transparent and fair. “The new bill and the new clear and simple standing charge tariff are important next steps for us and our customers”. Could a more simple, useful billing structure encourage consumers to use less electricity and gas? Fuel poverty is a growing problem in the UK, where millions of households spend at least ten per cent of their income on energy. The increasing cost of energy is largely to blame, but many properties in the country lose out for other reasons. Installing loft and cavity wall insulation are just two ways of making homes more energy efficient. Replacing old thermostats central heating boilers can also improve efficiency, while utilising solar photovoltaic panels can help to save on the cost of electricity. Billing for dummies will help many people understand their energy usage, but practical measures must be implemented to lower bills.